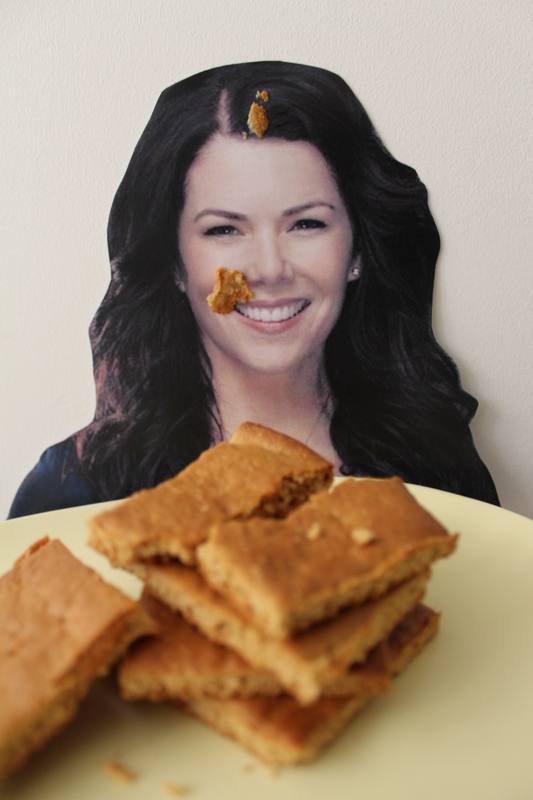 I honestly cannot believe I am sitting down to write about catching up with Lauren Graham in this context. I mean, a Gilmore Girls reunion has long been my dream but after the short lived wonder that was Bunheads, I feared that ASP wouldn’t be able to bequeath the only TV revival I ever wanted. Outside of Golden Girls, obviously. Don’t get me wrong, such a positive and hopeful person like me always dreamed that it would one day happen … I just thought Lauren and I would be catching up to celebrate the seminal movie Because I Said So’s tenth anniversary, before experiencing this wonder. It is a fact universally acknowledged that 2016 has been absolute balls, but not in a good way, but (the horrifically named) Gilmore Girls: A Year in the Life is something we can all take some time to be thankful for, which really makes it’s release so convenient for me and my Thanksgiving plans. As you know, Annelie and I used to work as gophers on the set of the OG series until we were blacklisted for not letting go off our adopted triplets amnesia storyline – which *spoiler alert* was left unused in the revival. While you may have assumed that is how we met and fell in love with Loz, we actually connected on the set of Caroline in the City whilst part of Lea Thompson’s entourage – our story inspired the teen movie, Heathers. Seeing a star on the rise, we jumped to join Loz’s far less angry clique and guided her to greatness. Loz has been so busy in recent years, what with keeping Kleenex afloat via Parenthood – which to confess, I couldn’t watch as it just felt like she was cheating on Rory, Richard and Emily – so it has been a while since we’ve been able to take the time to get together and celebrate everything that makes our friendship as beautiful as it is. Thankfully not a thing has changed in our time apart, Loz is still such a beautiful soul and she is still more than willing to spill some secrets to her best friend – I know the final four words guys! 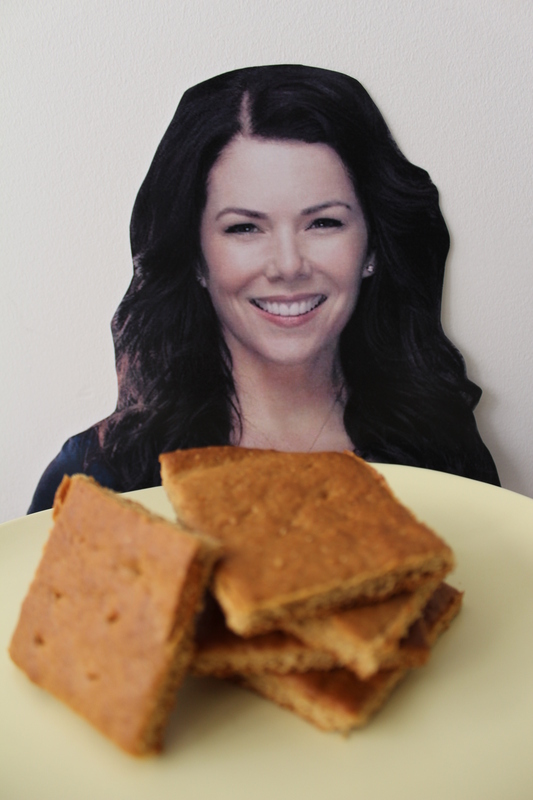 – over a batch of her favourites, my Lauren Graham Crackers. I know what you’re thinking – oy, with the grahams? / they shoot bloggers, don’t they? – but bare with me, graham crackers are insanely delicious … and festively appropriate given they are the basis of all the best cheesecake / pie crusts. Thankfully Loz and I don’t need to be too fancy to celebrate Thanksgiving, our friendship and the GG reunion is more than enough. But to reiterate, these are delicious as is – enjoy! Beat the butter and sugar using a stand mixer for about five minutes, or until pale and creamy. Still beating, slowly add in the egg, honey and milk, allowing the mix to come together before adding the next. 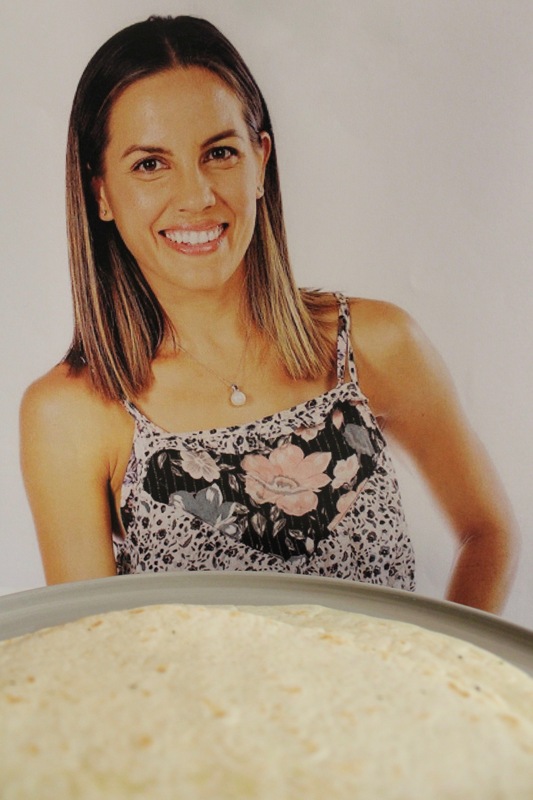 Remove from the stand and fold through the baking powder, salt and flour, until it comes together as a smooth dough. Form into a disc, wrap in cling wrap and refrigerate for an hour or so. Remove the dough from the fridge and split it in two, returning one to the fridge while you work on the other. Between two sheets of baking paper, roll out the dough until it is super thin – 2-3mm max – cut it into graham shaped rectangles, dot with the thick end of a skewer and transfer to a baking tray. Repeat the process with the second piece of dough. Transfer both trays to the oven and cook for about fifteen minutes, or until golden brown and crisp. Remove from the oven, split the biscuits into pieces and transfer to a cooling rack.